"The Cortile" is the Italian Car Show at The Pittsburgh Vintage Grand Prix. 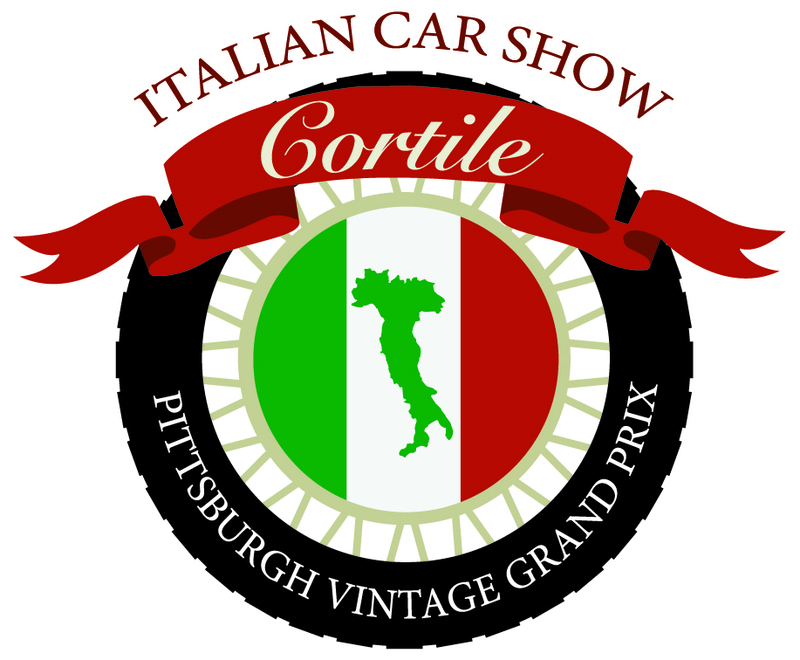 In Italian "Cortile" translates into courtyard which is an appropriate name for our display of fine Italian macchina on the 18th fairway of the Bob O'Connor Golf Course at Schenley Park during the Pittsburgh Vintage Grand Prix's Race Weekend on July 14 and 15. All Italian cars, all makes and ages, are welcome to the annual Cortile Italian Car Show. Enjoy the entire weekend at the Pittsburgh Vintage Grand Prix overlooking the car shows on the Schenley Park Golf Course and the vintage races through the city streets. - Weekend parking for your Italian car in the Cortile on the golf course. - Cortile hat, PVGP 2018 poster, car decal and Race Program. - Lunch for two in the Pittsburgh Golf Club on Saturday, July 14. Additional lunches can be purchased for $35 each. There are no lunches available Sunday. 10:00AM - 3:00PM - Visit the NEWLY renovated Westinghouse Pond, a perfect time to bring some wine/cheese and enjoy the races! Online registration closes at idnight on July 2.